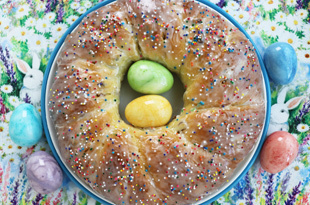 With only one rise, my soft and sweet Easter bread is full of golden raisins and you can make it in just over 2 hours. It’s a show stopper. Too cute! My bunny buns will make any meal a special event. They’re soft, fragrant, and delicious. Make them white or whole wheat. 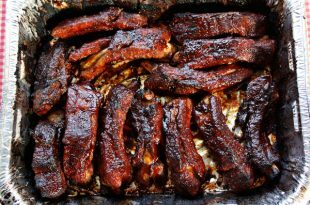 It’s my never-fail recipe for easy baby back ribs. The tender, sweet meat falls right off the bone and they are just as good finished on the grill or in the oven. 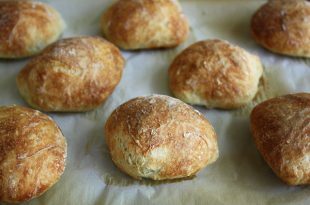 Make crusty bakery-style rolls at home – it’s surprisingly easy. There’s no kneading and almost no work at all. 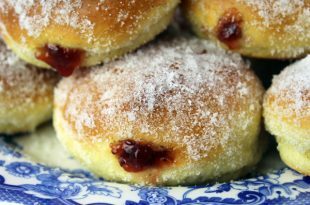 These crusty rolls freeze beautifully and re-crisp in minutes. 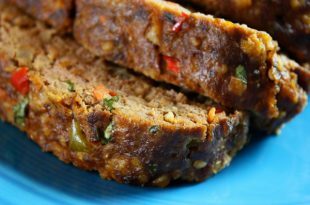 (with egg) It takes just 90 minutes to make this easy, one-rise soft wheat bread… perfect for sandwiches and it makes great French toast. 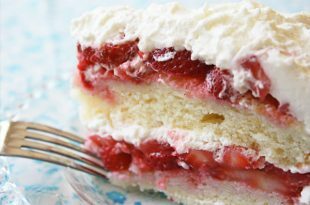 This is a special occasion cake best made when strawberries are in season. It’s my healthier white cake with fresh berries and real whipped cream. OMG! 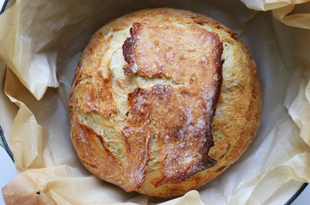 You’ll be amazed how easy it is to make this fabulous bakery-style bread. It’s soft inside with a golden crispy crust. Even amateur bakers can make this. Everyone is loving this easy recipe. One bowl. No mixer. No butter. Use all-purpose or whole wheat pastry flour – it’s a super easy recipe with minimal cleanup. 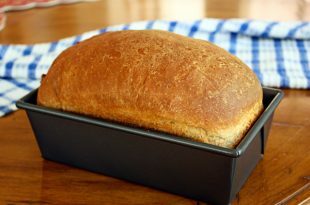 I found an even faster way to make this amazing bread. 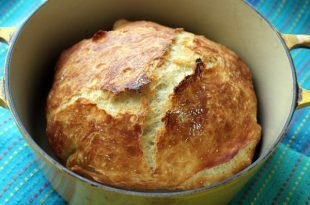 Using more yeast and hot water, it’s ready in TWO HOURS or even less! 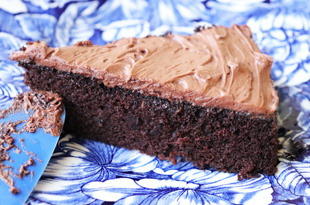 It’s the easiest cake recipe ever. One bowl, no mixer, no eggs, no butter except the frosting. For a totally butter-free cake with a butter-free glaze, see Baking Without Butter. Welcome, everyone, to my online cookbook. 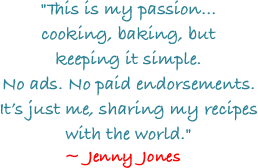 Here you won’t find any ads or paid endorsements. You will find all my recipes, the things I cook at home every day, and if I mention a product it’s because I want everyone to get the best results with my recipes. I’ve had a passion for cooking all my life and my goal has always been the same. Well, actually I have three goals whenever I cook: Make it healthier, make it easier, and make it faster. Whenever I can make something that’s quick & easy and healthy, I want to share it. Having been a working woman all my life, I needed what most other people need: healthy recipes that are quick and easy, especially dinner recipes like my one pan meals, which I love. Even when I was working long hours hosting and working on the Jenny Jones Show, I still made time to cook my own healthy meals. These days, I feel extremely fortunate that I can spend all my time doing what I love. 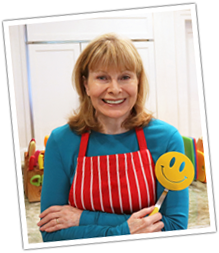 I created Jenny Can Cook as a place to share my own healthy recipes with everyone from experienced cooks to novices in the kitchen. My healthy lifestyle is what motivates me to create healthy and easy recipes and especially healthy dessert recipes because I do love my sweets. I’m not a health food nut – I’m just doing the best I can to create some recipes that I feel good about eating. But they have to taste great so I basically work on reducing the bad stuff and increasing the good stuff. 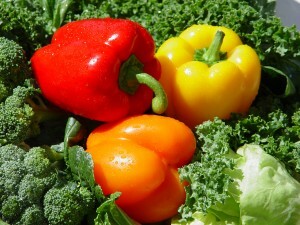 For example, with dinner recipes, I focus on reducing unhealthy fats and incorporating lots of vegetables. 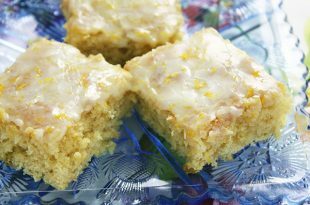 With dessert recipes my focus is to reduce saturated fat and sugar, and add fiber where it works. There are some instances, like angel food cake, where whole wheat flour does not work but most of my cookies are made with whole grains. Keeping it simple is also important. Any time I can make something easier to cook, I do it. So you’ll see lots of easy recipes here where everything goes into one bowl or one pan, like my lemon brownies or homemade granola. And I’m always working on creating simple recipes that have just a few ingredients. When I can make a simple, easy recipe it’s usually the one people use the most, like my quick and easy mac & cheese or salmon patties. It’s all about clean eating. 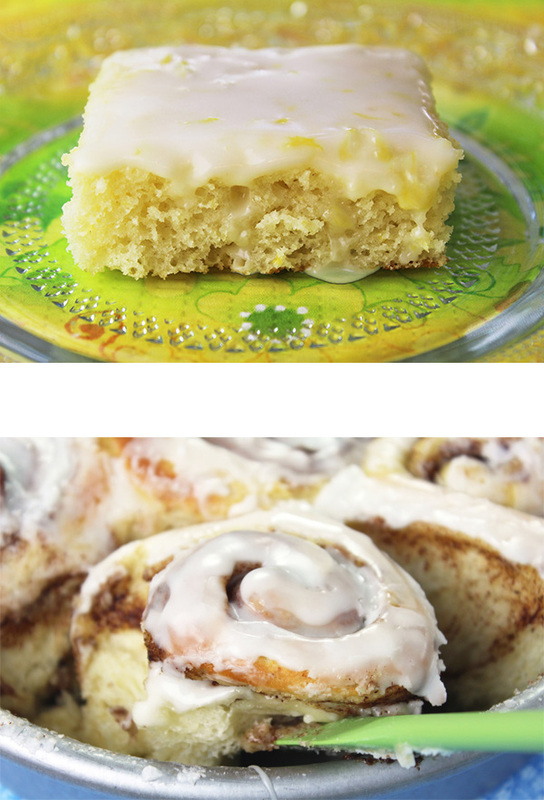 I especially love to bake so it’s really important to have healthy dessert recipes because I enjoy something sweet after every meal and it’s always homemade… from my hugely popular easy one bowl yellow cake to my homemade cinnamon rolls that everyone seems to love, and both recipes are made with no butter. Baking without butter is a priority for me considering my family history of high cholesterol so you will find a strong focus on healthy desserts with no butter with lots of cookies without butter. In fact, I created a separate category just for those sweets made without butter to make those healthy cookies and cakes easy to find. Just look for the Baking Without Butter recipe category. I want to enjoy my desserts and still maintain good health. I am also a student of nutrition and I know how crucial it is to eat vegetables every day. They are the lifelines to good health and many of my dinner recipes have vegetables built in, like my vegetable-bean pasta that has three different green vegetables in every serving and my pork tenderloin with roasted vegetables. These are both super healthy meals with the anti-aging benefits of a variety of vegetables. My own favorite meals have to be Polish food. 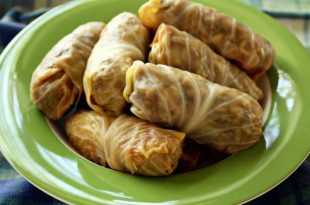 That’s my heritage and I grew up on Polish Cabbage Rolls (Gołąbki) and Pierogi. 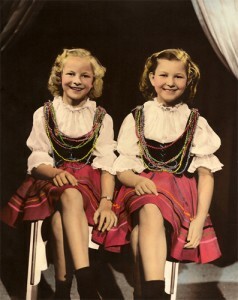 My sister and I learned to cook from our dad and we even had our own traditional Polish costumes. People seem to enjoy my Polish family recipes and I am always working on the next Polish meal to post but it has to be the healthiest I can make it. I am surprised how many Polish people visit my site and even leave comments in Polish. I love it! The satisfaction I get just knowing that others appreciate my healthy recipes and are cooking healthy foods and meals at home is all the reward I need. I will never sell anything on this site. My only goal is to motivate more people to cook at home, making good nutrition and healthy eating a priority. I strive to make my recipes as simple as possible and I’m rewarded when even novice cooks write to say they have never baked before and are baking bread for the first time in their lives. Cooking is fun for me and I always add a bit of humor to my cooking videos. 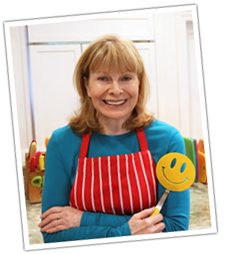 If I can make you smile and then you try one of my recipes, it’s a double win for me… bringing you some fun and some good food, too. Thank you for visiting Jenny Can Cook and please continue to send your feedback (and photos!). 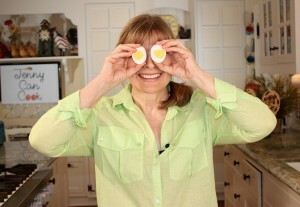 I never expected my recipes to be so popular and wish I could answer every question but I simply can’t keep up. Between youtube and my website, I have around 45,000 visitors a day. Many people seem surprised saying, “Your recipes actually work.” That’s because I am not a recipe developer, just a home cook sharing what I make at home every day. So thank you all for trusting me. It’s the best feeling in the world to know that what I do is making a difference.